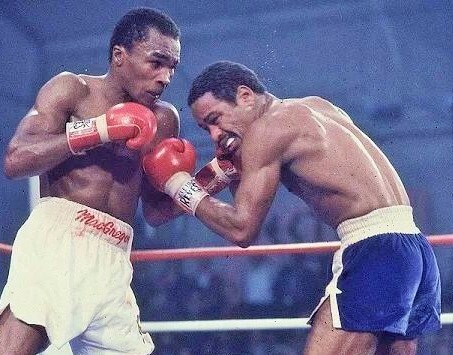 Perhaps few people at the time realized it, but the title match between Wilfred “Radar” Benitez and Sugar Ray Leonard at Caesar’s Palace in Las Vegas constituted an extremely rare phenomena: a contest between truly gifted ring sophisticates. Prodigies like Benitez and Leonard are rare to begin with, and an even more unique circumstance it is, something akin to Halley’s Comet, to have two such virtuosos competing at the same time, in their primes and in the same division. Before the bell, a staredown for the ages. Benitez vs Leonard represented a dream match for those enthralled by boxing guile, the cerebral side of the sport, the use of the rapier that is defense and precision counter-punching, feinting and footwork, as opposed to the blunt hammer that is mere raw aggression and punching power. Sadly, the space-time continuum means a contest between Joe Gans and Benny Leonard, or Willie Pep and Pernell Whitaker, can never take place. Instead we have Benitez vs Leonard, a very special, very rare confrontation between two brilliant craftsmen of the ring. Like prodigies in other sports — say, Federer in tennis or Jordan in basketball — Benitez and Leonard possessed such command over their bodies and reflexes that they performed as if under a different set of constraints. A prime Federer made it seem as if the tennis ball slowed down for him, allowing extra time to direct his shots. And watching a prime Jordan slam-dunk the ball, it almost appears gravity bends slightly, giving him that extra second of airtime. For Benitez and Leonard, their equivalent otherworldly advantage was being able to visualize their opponents’ punches in advance, presciently, and in a split second decide on a plan of action to both avoid being hit and to counter effectively. Benitez down in round three. 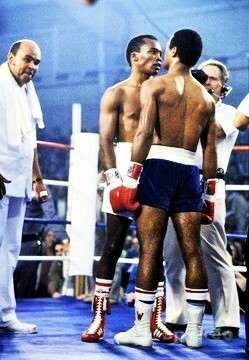 Benitez, while only 21 years of age, entered the ring as the WBC welterweight champion but also as a 3-to-1 underdog. He had taken the belt from Carlos Palomino in January of that same year, but astonishingly, this title was his second. 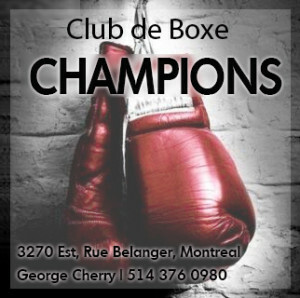 Three years before that, he had become the youngest boxer to ever win a world championship, a record that still stands, when at the tender age of 17 he decisioned tough veteran Antonio Cervantes. They called young Wilfred “The Bible of Boxing,” or more fittingly “El Radar,” for his ability to anticipate and avoid punches. He wasn’t a runner; he stood his ground, using upper body movement to make his opponents miss before countering with precision. If he wanted to, he could fight at a distance behind the jab, but he wasn’t afraid to trade on the inside, where he would flurry with abandon. A clash of heads left its mark on the champion. Leonard, the Olympic gold medallist, media darling and hawker of 7Up, stepped through the ropes with a record of 25-0. Underneath the Madison Avenue veneer was a boxer of tremendous natural gifts – astonishing hand speed, excellent mobility, cobra-like reflexes and terrific power. 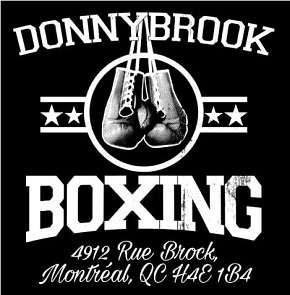 He had been guided brilliantly by Angelo Dundee; instead of a series of no-hope stiffs, his record comprised wins over such capable pugilists as Adolfo Viruet, Fernand Marcotte, Floyd Mayweather and Pete Ranzany. 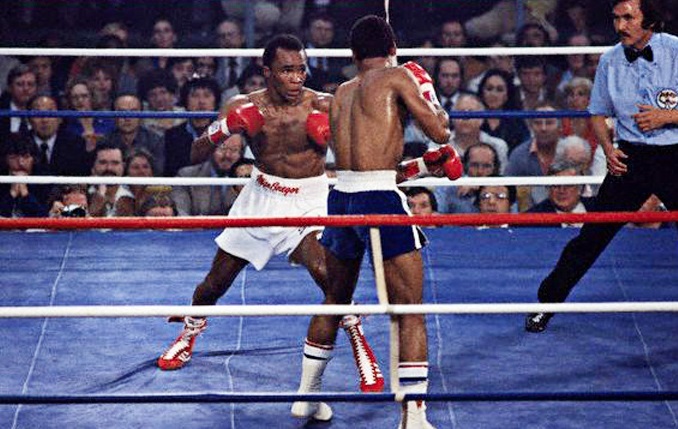 This was Leonard’s first attempt at a world title and the eyes of the nation were watching, the fight broadcast live on ABC in primetime, with Howard Cosell providing the ringside commentary. “My ambition is not to be just a good fighter,” said Leonard before the match. “I want to be something great, something special.” But first he had to overcome the tricky puzzle that was Benitez. The bout — following one of the greatest stare-downs in boxing history — proved highly tactical, a duel between Leonard’s left hand and Benitez’s right lead. 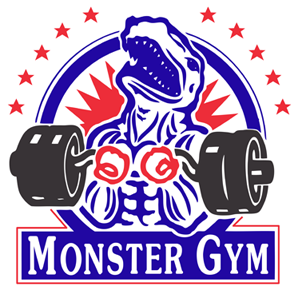 The early rounds belonged to the challenger. In the opening stanza Ray rocked Benitez with a left hook, and in the third a flush jab put the champ on the seat of his pants. But the knockdown appeared to wake up the champion. In the fourth he found the range for his right hand while making the challenger miss. Suddenly Ray could not find his man. While Leonard’s aggressiveness allowed him to steal rounds, Benitez was slipping shots and countering. In the sixth they clashed heads, opening a cut on Wilfred’s forehead. In Leonard’s corner, Dundee pleaded with Ray to neglect the elusive target that was Benitez’s head and instead attack the body. A tactical duel between ring virtuosos. 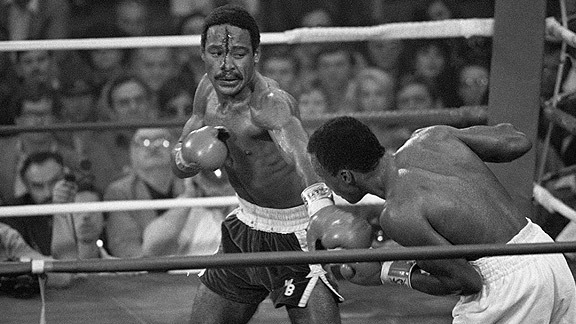 In the ninth, Leonard forced Benitez to the ropes and connected with a flurry of punches and in the eleventh he stung his man with the hook. Still, he could not assert himself the way he had in his previous fights. It was in the late going that Leonard finally opened up a sizable lead. The fight was already a classic, but round 15 proved an especially thrilling finale. Benitez, sensing he needed a knockout to win, took the fight to Ray, attacking with a series of left hooks. The challenger responded in kind and for two solid minutes it was toe-to-toe warfare, both men connecting and the crowd going berserk. With six seconds left, Padilla stops the fight.Then, with the final bell approaching, Leonard struck with a hard left and the champion hit the canvas for the second time. Wilfred rose, the cocky smile of defiance he showed earlier now a grin of resignation, and more fatigued then hurt, retreated to the ropes as Leonard attacked. 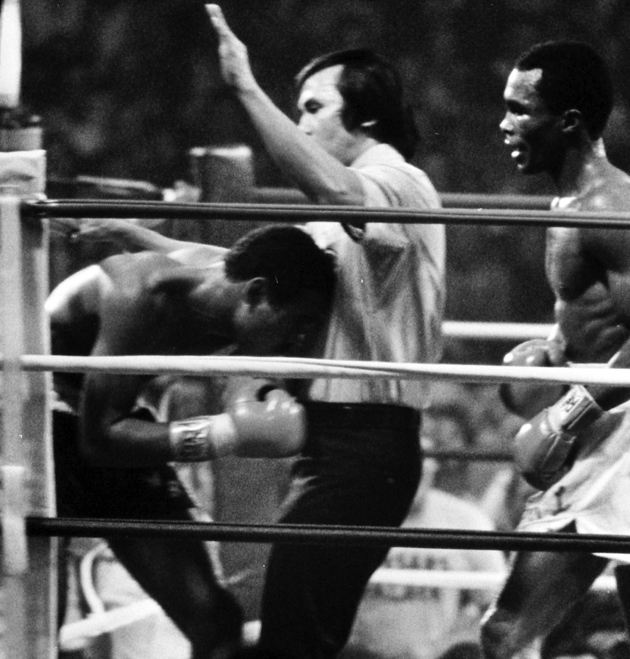 Moments later the referee stopped the fight and Howard Cosell rejoiced: Sugar Ray Leonard had claimed his first world championship. 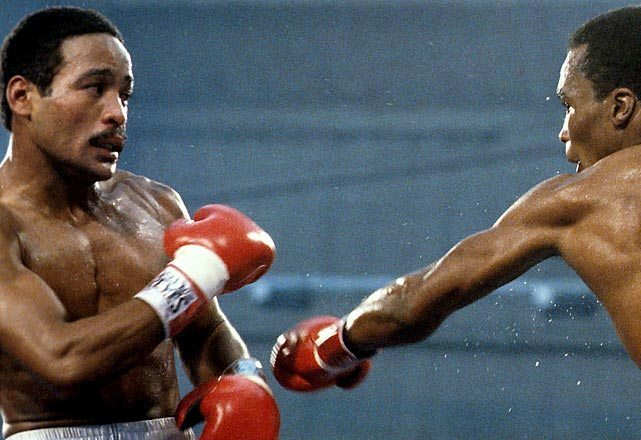 On the undercard of Benitez vs Leonard, Marvin Hagler had challenged for the middleweight title, the judges somehow scoring his 15 round clinic against Vito Antuofermo a draw. 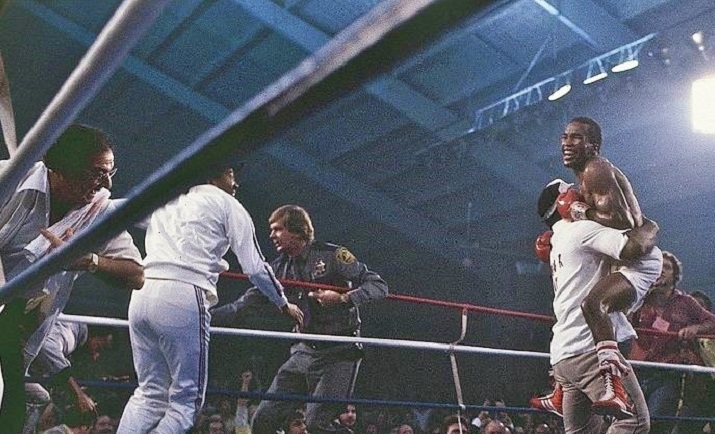 Earlier the same day, Thomas Hearns had decisioned tough Mike Colbert, knocking him down three times. 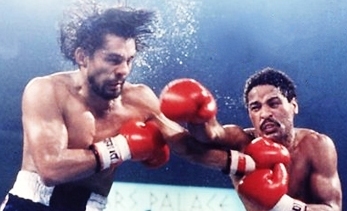 Within months, both Hagler and Hearns would capture world titles, while Roberto Duran would defeat Leonard to win his second world title. The era of “The Four Kings” had begun. “El Radar’s” greatest triumph: dominating Duran in 1982. 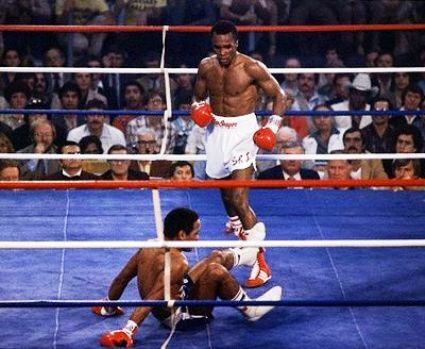 In fact, only two men would defeat Benitez while he was in his prime: Hearns and Leonard, this despite the fact that, incredibly, the Puerto Rican rarely trained with the proper consistency and focus. Who knows what Benitez might have accomplished had he possessed more than a modicum of self-discipline and truly dedicated himself to his craft. 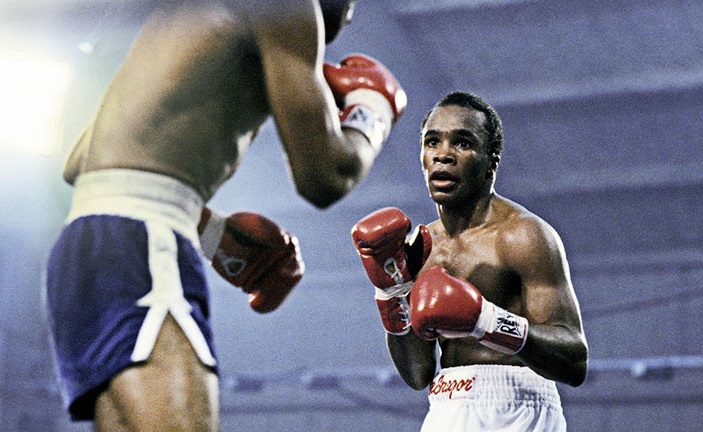 Instead the youngest world champion of all-time would become one of boxing’s saddest stories, while Leonard went on to become one of its brightest stars. I was ten-years-old when I saw this fight. Feels like yesterday. 15 rounds. Benitez, only 21 but looked like a master of the ring. Sad to know and see the condition he is in today, but what a legend.